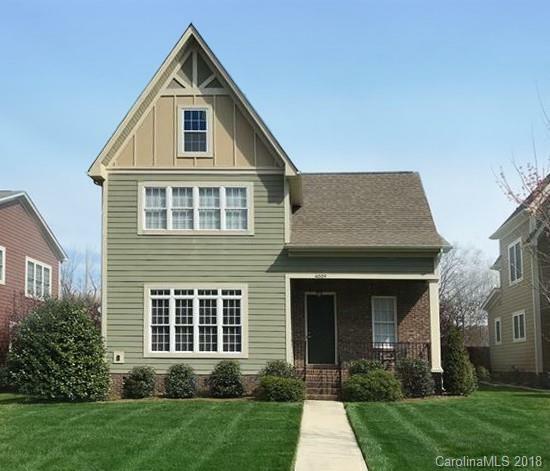 Beautiful Charleston style home in desirable Myers Park school district. Custom built w/ upper trim level, SS appliances, granite counters, hardwoods, large bedrooms, fenced yard, fire pit, rear load garage, fireplace, open floor plan, 10ft ceiling down, 9ft up. Tons of great storage. 4th bedroom upstairs could also be used as a bonus room!! Very Social Community!! Close to great restaurants and shopping. Walk to optional membership swim/tennis club. 10 Minutes from Uptown and 7 minutes to South Park. NO HOA! Sold by Mcnulty Realty Llc.